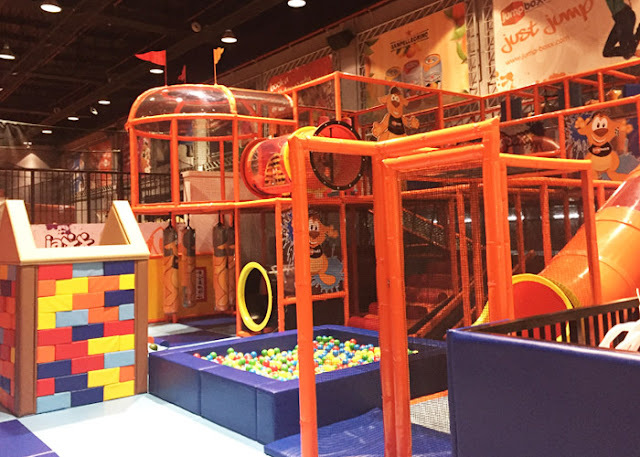 A brick-tastic sixth birthday celebration! It seems only yesterday I was writing a letter to Little Dude when he turned two. 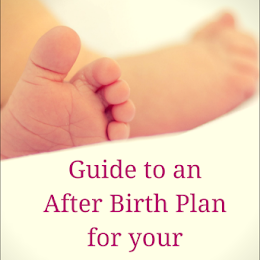 Life has been a whirlwind since then as I got busy with this blog, and his darling little brother came into our lives. Now my first born has become very particular about his likes and dislikes. He was very keen on celebrating his birthday at JumpBoxx in Uptown Mirdif, Dubai. 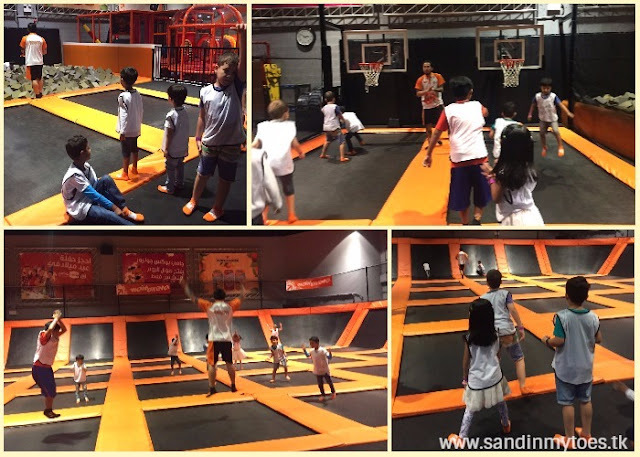 JumpBoxx is a trampoline park suitable for children of all ages. Little Dude has been going there since he was three, so it made sense to celebrate at least one birthdays there! We booked our party and invited 14 of his closest friends. I thought it would be simple to host a party out of home, but I was presented with a challenge. He wanted a LEGO theme! So, my late night preparations began weeks in advance. I wasn't able to find a lot of ready Lego party supplies that I liked. So, I set about making my own props. From last year, we have been setting up a surprise for him on his birthday morning. I wanted to do something extra special this year, since he really appreciates surprises and is happy being the center of attention - after all, becoming a big brother has taken away some of his limelight! For the birthday morning, I used a disposable helium balloon tank from Balloonee to create a balloon curtain and a box of surprises. It was really easy to inflate the balloons with the tank. I used some of them to create a curtain with ribbons for him to break through. I used others to create a big gift box filled with his presents and floating balloons. The hard work paid off and he loved the surprise! When you need a lot of helium balloons for a party or any occasion, this tank is a great option, and reasonably priced too. 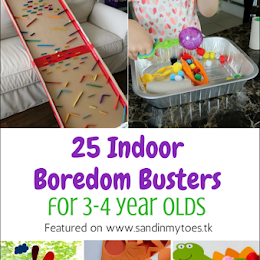 Plus, it's so easy to use, even kids will be able to blow up the balloons under your supervision. Details of the tanks in different sizes can be found on www.balloonee.com. Our party was first thing in the morning at 10 AM so we were up early and reached the venue before time to set up the props. Our party host, Francis, was there to help me put up the personalised birthday banner I had made using a template and some Photoshop! I also used a Lego table cover and Lego plastic cups as part of the decor - I had found them at Party Zone in Mirdif. I created Lego props myself using designs I found from various sources online. I also made a balloon bouquet with the Balloonee helium kit in red, blue, and yellow. I also made these Lego movie masks for the kids to wear, and as photo props. They really loved them, and my time spent in cutting and pasting them by hand paid off. For the cake, I strictly didn't want fondant. So, I ordered a simple chocolate cake with white frosting and sprinkles. I designed my own cake topper with the Lego font. I also bought the Lego ice mold from their official store, and used it to make Lego bricks in red and yellow to decorate the cake. To complete the decoration, I used two Duplo characters to hold the banner. It was simple, but cute! 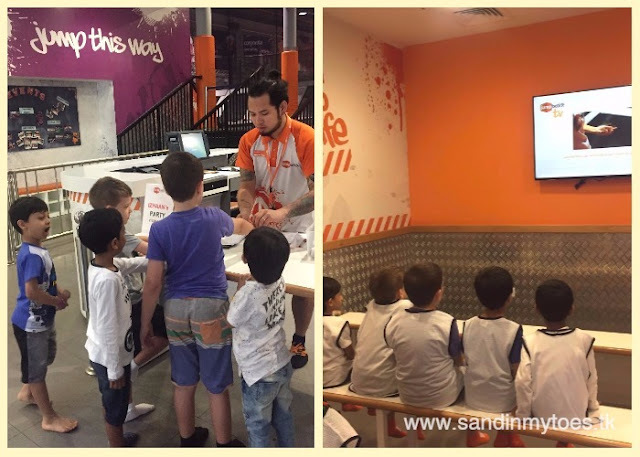 Once the kids had arrived, they were first given anti-slip JumpBoxx socks and a vest, and then shown a video with safety instructions. They could barely wait to start jumping at this point. Most of the kids were over the age of three, but two of our guests were younger. They had a great time in the new soft play area at Jump Boxx, which included little trampolines. Francis was great with the kids. They started off with some warming exercises and jumping, followed by some games in the trampoline area. Then, they played some basketball games. After this, they jumped into the foam blocks. I think the kids enjoyed this part the most! They took a quick water break after 30 minutes of playing. Then, there were more games in the trampolines, and this was followed by dodge ball and other ball games. After an hour of playing, the kids were hungry and a little tired. That's when they came up to the party room. We first cut the cake where another host joined us for the singing. We also had the mascot Jumping Jack make an appearance for the cake cutting. After this, food was served to the kids. We had chosen chicken burgers with fries, apple juice, and water for their meal. Other options had included pizza slices, and nuggets. For the adults, we separately ordered pizza from their kitchen. 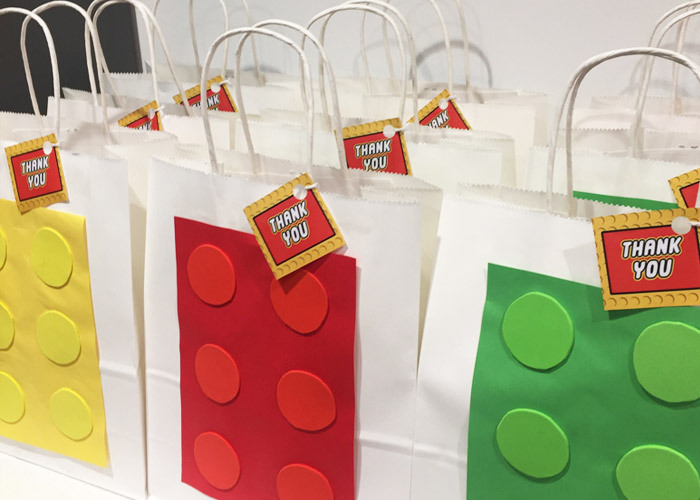 As the fun party ended, it was time to hand out the goodie bags! 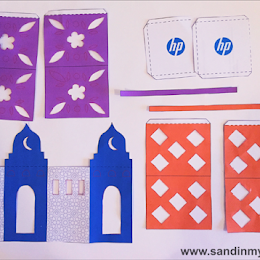 Once again, I chose the lovely people at My Goody Goodie Bag to design them (we first used them for Little Guy's first birthday). The Lego brick theme bags looked so cute, and they had picked age-friendly toys and gifts to go in them. JumpBoxx had also kindly provided us with their branded drawstring bags, and we included them in the goodies. We also received a photo souvenir of Little Dude and his friends from JumpBoxx, that captured a snapshot of the memorable day. A good birthday party is one where the kids really enjoy themselves and they are suitably entertained. 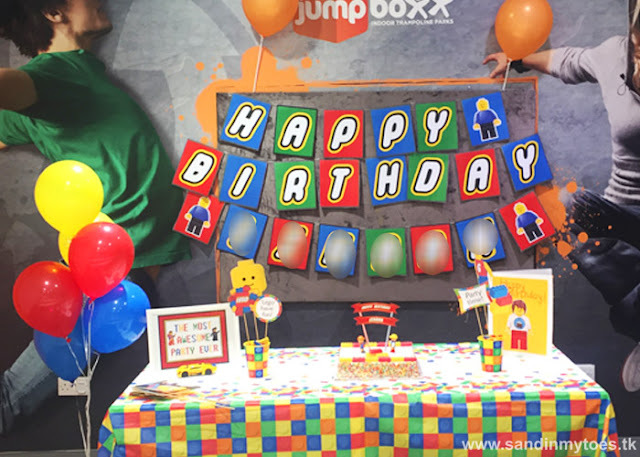 JumpBoxx proved to be a great venue to host our son's birthday, and I would most definitely recommend them if your kids love activities and games. 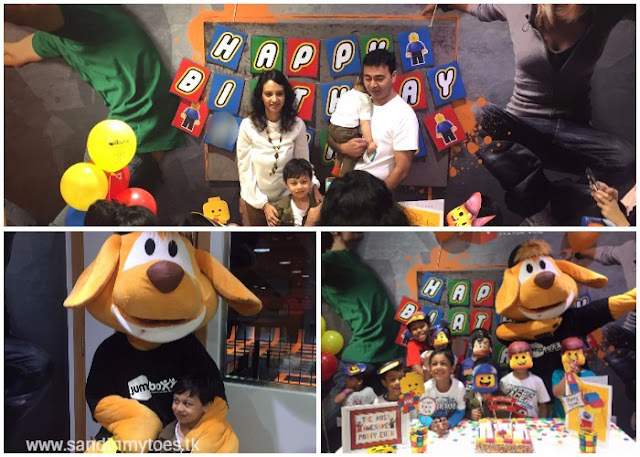 To see details of their birthday party packages, visit their website. If you have any further questions about this party, do feel free to ask in the comments below. Thank you again for having us share this special day with you! The party was truly very well thought out and Master Z had such a great time. He still talks about it, since he is such a huge Lego fan too!